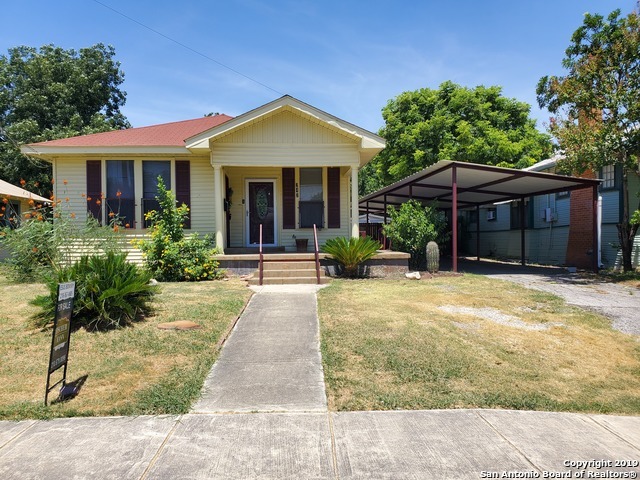 All S DURANGO/PROBANDT homes currently listed for sale in San Antonio as of 04/23/2019 are shown below. You can change the search criteria at any time by pressing the 'Change Search' button below. "Effortless Indoor-Outdoor living in this Stunning Modern Home built in the Heart of Downtown. A short Scooter-ride to the Hottest restaurants in Southtown & Blue Star. Friends & pets will love the security fence & soft grass that this unique property offers; complete with a private yard for corn hole games & Bar-B-Ques. 18-ft ceilings with architectural rake windows that pour in natural light. Bamboo flooring, custom oversized cabinets, Luxury design & open-concept kitchen makes it ideal for ent"
"You've been waiting, and you won't be disappointed! COMPLETELY RENOVATED in 2018 down to the studs! 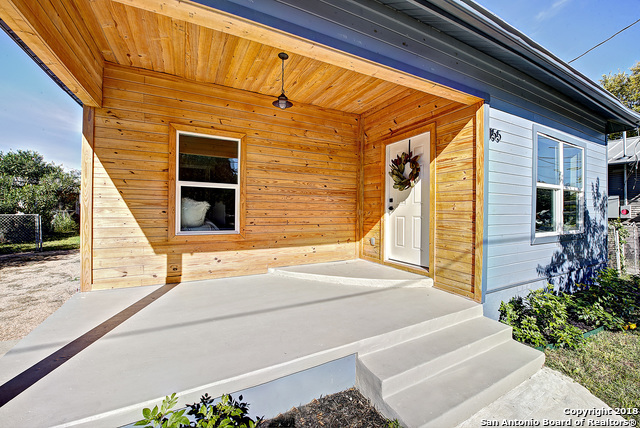 This Southtown gem boasts so many upgrades, the only thing it's open concept is missing... is you. 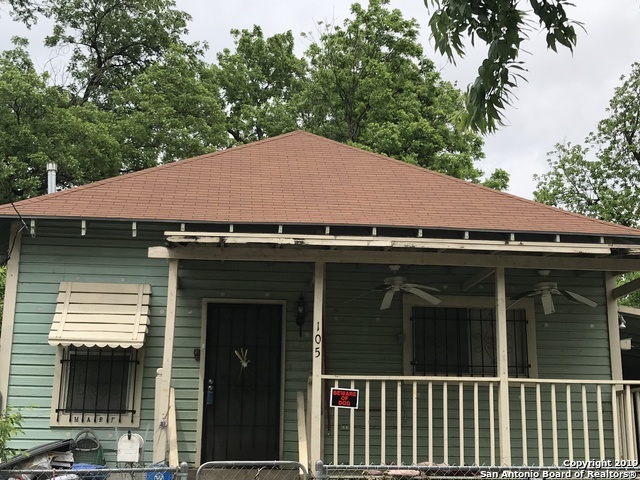 New roof (2017), plumbing, electrical, foundation, HVAC system, custom cabinetry and tile work, granite countertops, laminate and tile floors, and more! Family favorites as well as exquisite night life are just a walk, bike, or scooter away! Also a proven high income producing AirBNB. Do not dist"
"Total 5 bed/3 bath/2kit Calling all FLIPPERS, DO-IT-YOUR-SELF(R'S), INVESTORS, REHAB-ERS, this is an awesome opportunity to redo this historically charming, spacious home. Wow!, two homes!, Main home has 4 bedrooms 2 baths, laundry room connects to mother in law suite/college dorm by mud room. High ceilings, per previous owner some leveling and roof has been redone. Back home has outside access. 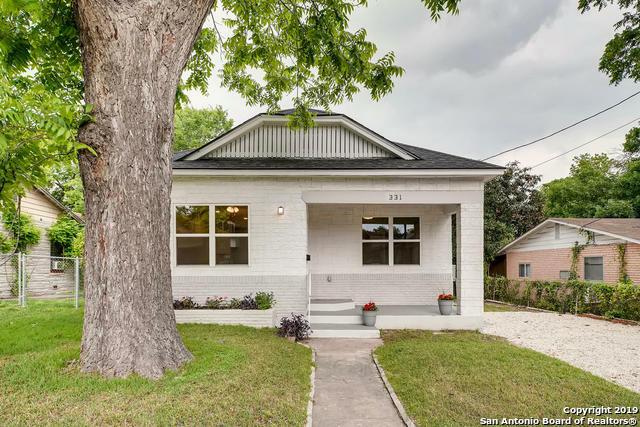 Close to downtown, UTSA downtown campus, the historical districts, courthouse, Blue Star and Lone "
"Cozy Home near Blue Star Complex, Close to King William & Downtown. Amenities- Extra Apartment in rear for Rental Income or Extra Family. Build your own serene Courtyard in the back! Unique Opportunity!!" 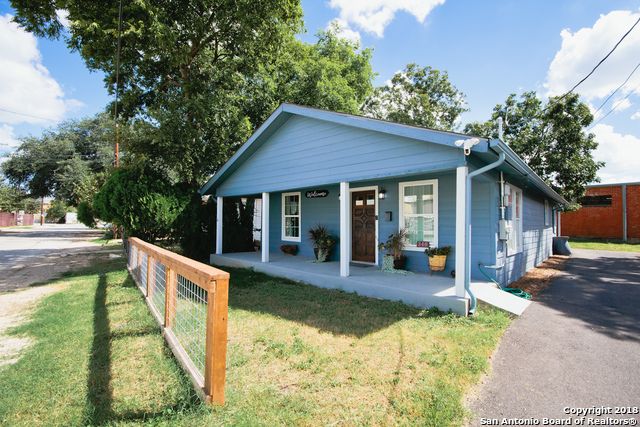 "Located near the Lone Star Brewery and the Alamo District, this gorgeous property can be yours. Only 5 minutes from Concepcion Park and 10 minutes away from San Antonio Missions National Historic Park." "Location Location Location! This one will take your breath away. Gorgeous real wood floors, High Ceilings, quartz countertops, new windows, new 30/yr roof, new hvac, upgraded bathrooms and much much more! You'll enjoy everything downtown has to offer. Close to shopping and dining. YMCA located right across the street, jogging trails, and easy access to the Pearl, Blue Star, major highways and more." 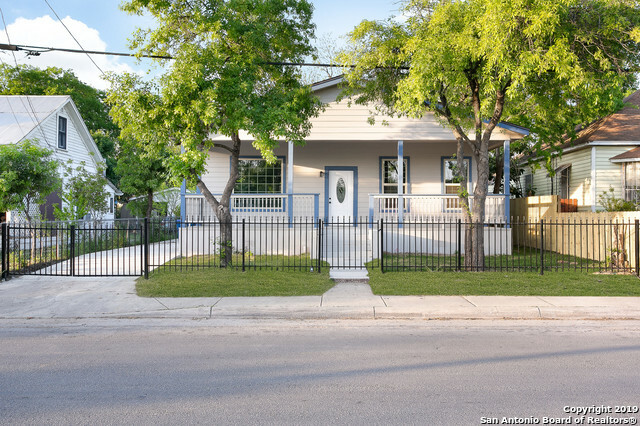 "Completely redone home in popular Southtown. Hardwood floors, granite countertops. Separate dining area or can be used as an additional living space. White cabinets, stainless steel appliances. Subway tile back splash. Large walk in closets. Master bedroom is huge with large walk-in closet. Dual master sinks. Roof, a/c unit and hot water heater all replaced as well." "2 Buildings. Main structure consists of 2 units. 1 unit is 2 bed, 1 bath. Second unit is 1 bed, 1 bath. Second structure is a 2 bed, 1 bath unit. 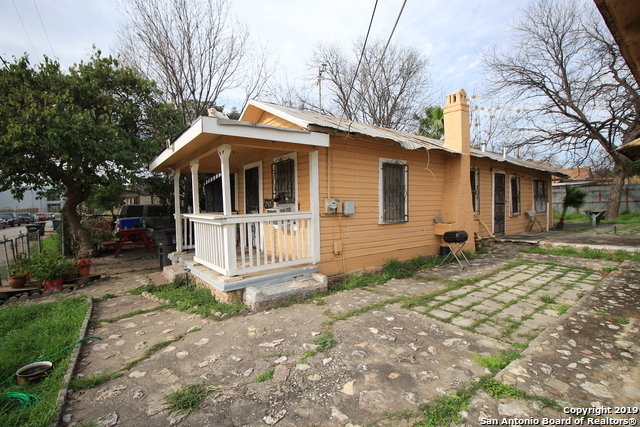 2nd Structure is currently rented for $1,000.00 Access from back of property to jogging and bike trail that leads up to mission reach and downtown San Antonio. Main structure can be converted to a 4 bed 2 bath to be lived in and can continue to rent out rear structure for 1k per month." 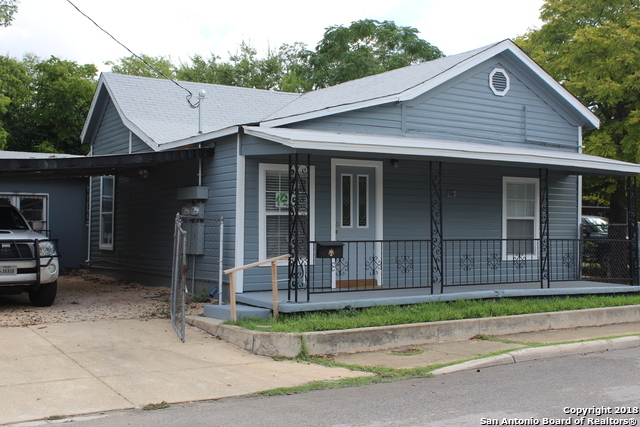 "LOCATION LOCATION LOCATION fully rehabbed property within walking distance to River Walk, San Antonio River, Downtown, courthouse and Alamo St. Beautiful remodel with an additional apartment in the rear with its own entrance. 2 kitchens and 2 living areas. One of the few houses in the area with central heat and AC. plumbing replaced 2018, Roof replaced in 2017. Schedule your showings this one wont last long!!" "Recent rebab and move in ready. South town living close to Bluestar and downtown. Owner has installed USB ports in every room, roof was replaced 8/18. Kitchen has recessed lights, tile back splash, and custom hard surface counters. River stone in second bath flooring, house is Gas and has a tankless water system. Also has an upstairs room which could be made into an efficiency, possible rent options there. 2 car covered carport off street parking. Come take a look !!!" 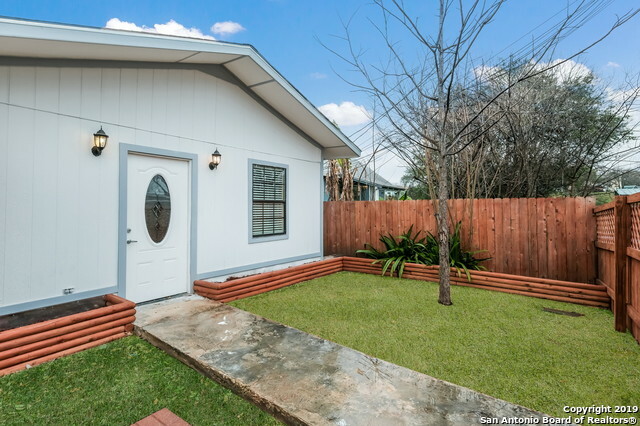 "Completely remodeled home in Southtown. Hardwood floors. Custom wood ceiling in living room. Beautiful custom cabinets and butcher block countertops. Stainless steel appliances. Breakfast nook in kitchen. Custom tile in bathroom. Large master bedroom. Oversized laundry room inside. New hot water heater. Large back yard. Separate casita could be converted to an art or music studio, guest house or work shop. Roof, a/c unit and hot water heater all replaced as well." "This is truly about the Location and Style. 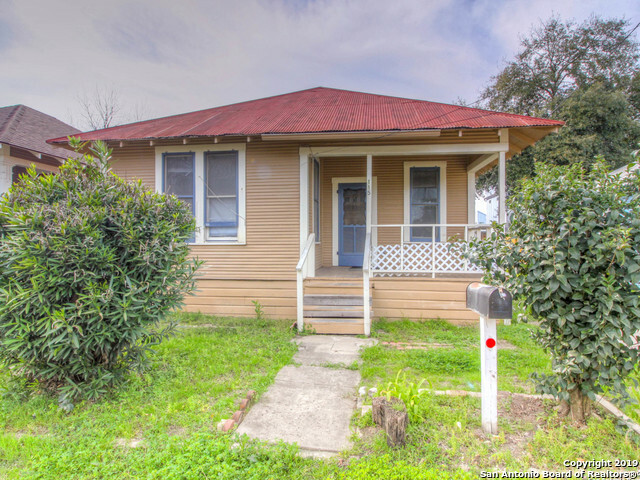 Great investment potential for this 2 bed 1 bath charming cottage built in 1933. Wooden deck off the back of the home overlooks the fenced backyard. Sold as is." "Buyer to verify all room measurements. Cozy home in great location! Close to all the downtown action!" "This cozy home minutes from downtown and major highways has 3 bedrooms/1 bath/inviting front porch/wood floors throughout/ 13x8 foyer. Includes a recently installed roof/Kitchen has plenty of cabinets and counter space/HVAC system in place/Large car garage plus additional covered parking in driveway .Fenced in. Excellent homestead and/or investment.There is a 24 hour advance notice required to show." 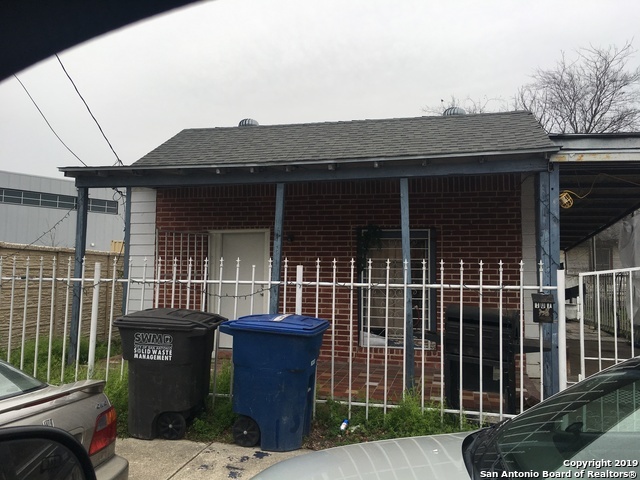 "This home needs TLC, it has potential for rental investment opportunity. Combined room is 6 bedrooms and 3 baths. 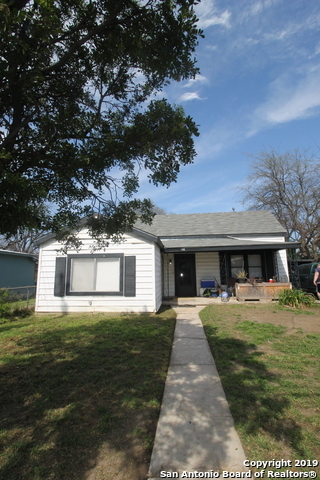 The front of the home has 3 bedrooms and 2 baths and the back of the home has 3 bedrooms and 1 bath. There are two separates entrances, both have private parking and each has a small yard. Close to restaurants, shopping, walking trails and parks!" "GREAT INVESTOR SPECIAL! 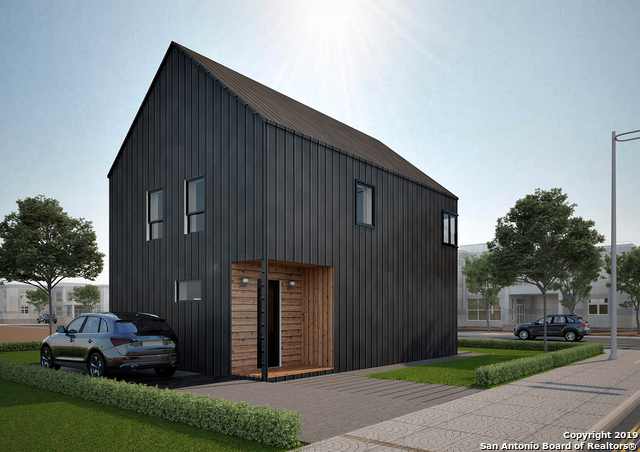 Make it your own, and live the Southtown dream!" "Downtown Living in the Lone Star District! 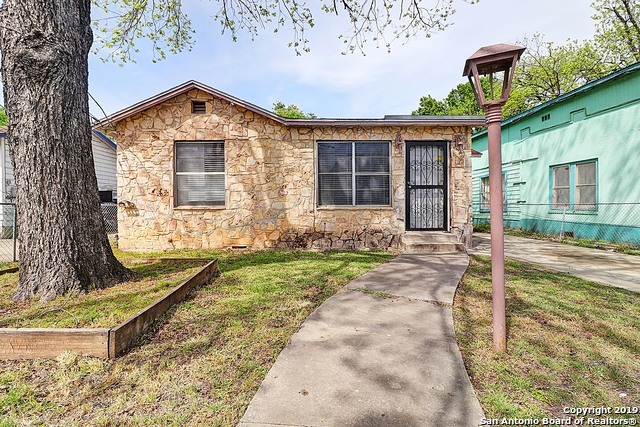 ** Complete Rehab on this 2/1 home ** New Wood Flooring Throughout ** New Windows & Doors ** New Paint Inside & Outside ** New Kitchen Cabinets...Countertops...Sink ** New Roof 2017 ** Bathroom...New Vanity...Shower...Toilet ** Huge Backyard for the Family Fun ** Storage/Shop...wired for Electric ** Enjoy the Neighborhood from Your Roomy Covered Front Porch ** So Close to Southtown...BlueStar...SA Urban Culture... and I 10E ** Come See for Yourself!!" "UP AND COMING AREA JUST SOUTH OF DOWNTOWN, THIS MOVE-IN READY HOME SITS WITH PLENTY OF FEATURES EVERY BUYER WOULD LOVE! 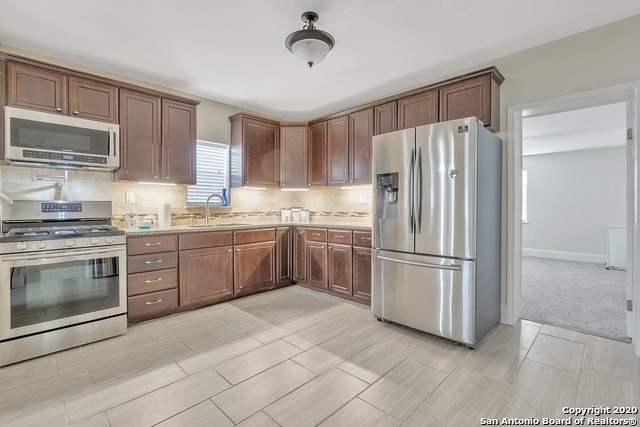 INSIDE OFFERS AN OPEN FLOOR PLAN, REMODELED BATHROOM AND KITCHEN BOASTING WITH UPDATED COUNTERS AND APPLIANCES, LARGE BEDROOMS WITH CEILING FANS, AND A BONUS ROOM/3RD BEDROOM. OUTSIDE FEATURES A LARGE SHED/STORAGE/EXTRA SPACE AND A GREAT YARD PERFECT FOR ENTERTAINING. 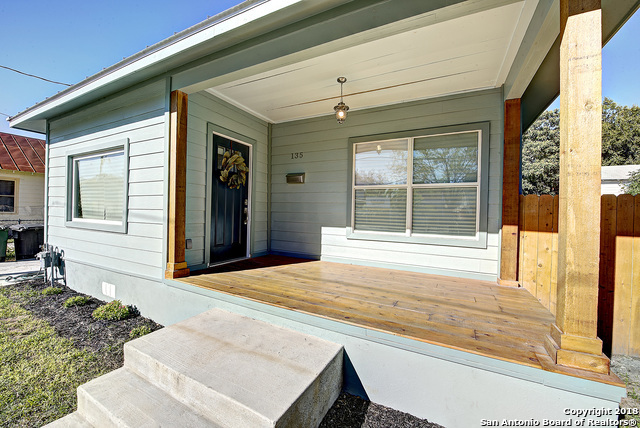 LOCATED MINUTES FROM LONE STAR COMPLEX, BLUE STAR, AND DOWNTOWN, THIS HOME IS MUST SEE!" 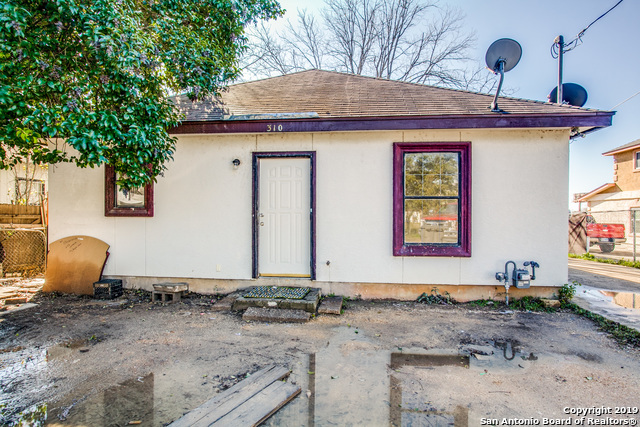 "Great Location, 2 Miles away from The River Walk. Investor Potential! Sold AS IS. Needs some TLC." "Investor special...2 home portfolio for sale! Priced under BCAD values. One home is tenant occupied. 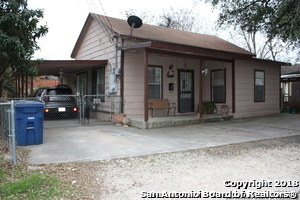 Popular Lonestar area, close to museums, restaurants, breweries, river and downtown. Across the street from KIPP Academy!"